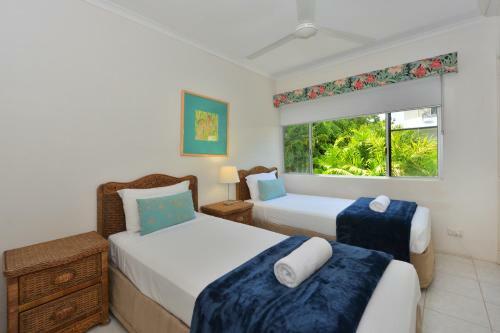 Seascape Holidays - Driftwood Mantaray in Port Douglas is a small-scale hotel with 10 Rooms. 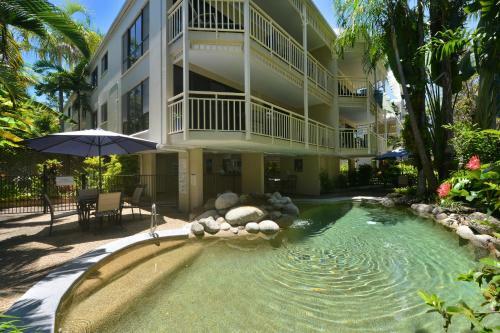 Offering free WiFi and 2 swimming pools, Seascape Holidays – Driftwood is located within the Driftwood Mantaray complex, in heart of Port Douglas. 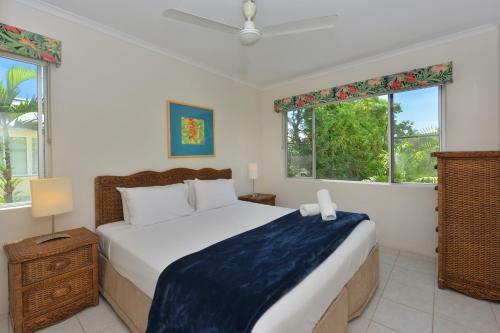 It is just 100 metres from Four Mile Beach. 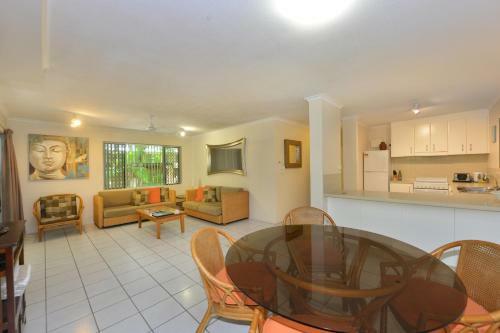 All apartments feature a balcony, a fully equipped kitchen, laundry facilities and a flat-screen TV. 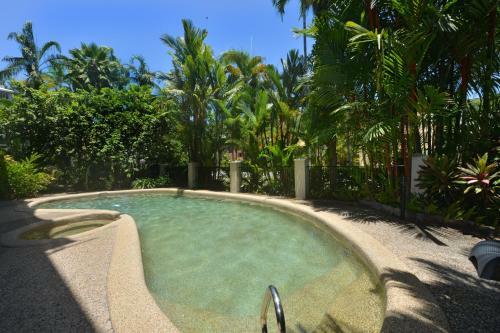 Port Douglas Seascape Apartment options include 1, 2 or 3 bedrooms, modern décor, laundry facilities and private bathroom facilities. All bed linen, electric blankets and toiletries are provided. 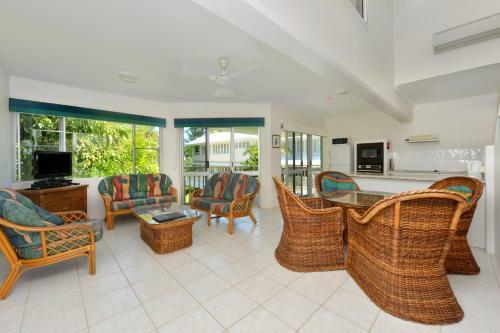 Guests can e...njoy an outdoor meal in one of 2 BBQ areas, surrounded by lovely gardens. There are several bars, restaurants and cafes within 5 minutes’ walk along Macrossan Street. 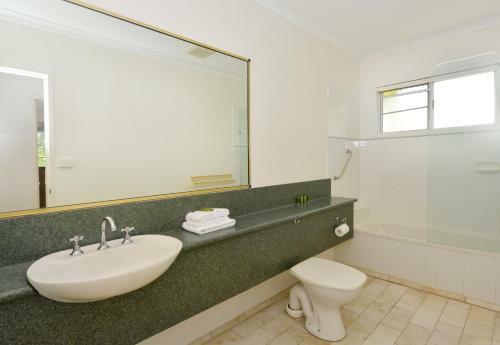 Anzac Park is also within 5 minutes’ walk away. 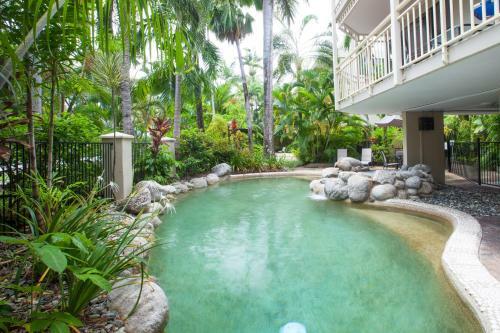 Offering free WiFi and 2 swimming pools, Seascape Holidays – Driftwood is located within the Driftwood Mantaray complex, in heart of Port Douglas. 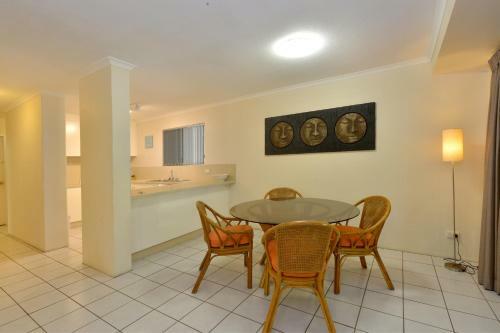 It ...is just 100 metres from Four Mile Beach. 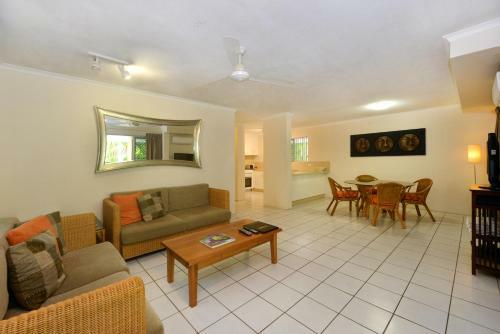 All apartments feature a balcony, a fully equipped kitchen, laundry facilities and a flat-screen TV. 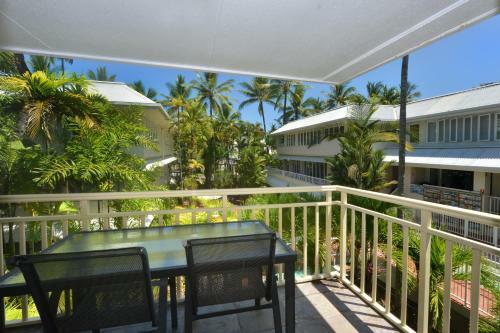 Port Douglas Seascape Apartment options include 1, 2 or 3 bedrooms, modern décor, laundry facilities and private bathroom facilities. All bed linen, electric blankets and toiletries are provided. 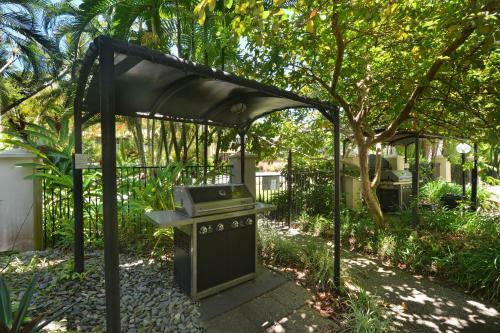 Guests can enjoy an outdoor meal in one of 2 BBQ areas, surrounded by lovely gardens. There are several bars, restaurants and cafes within 5 minutes’ walk along Macrossan Street. 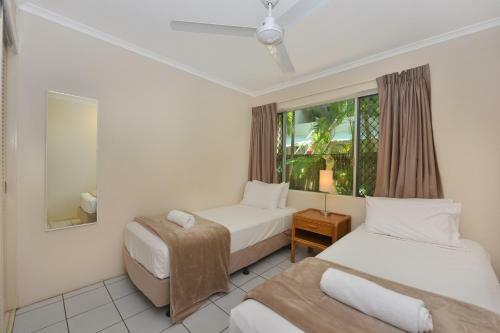 Anzac Park is also within 5 minutes’ walk away. 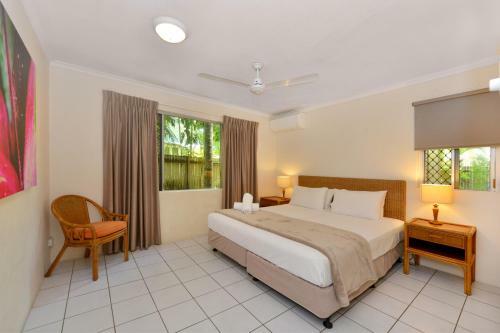 When would you like to stay at Seascape Holidays - Driftwood Mantaray? Accepted credit cardsAmerican Express, Visa, Euro/Mastercard, JCB, UnionPay credit card. The accommodation reserves the right to pre-authorise credit cards prior to arrival. 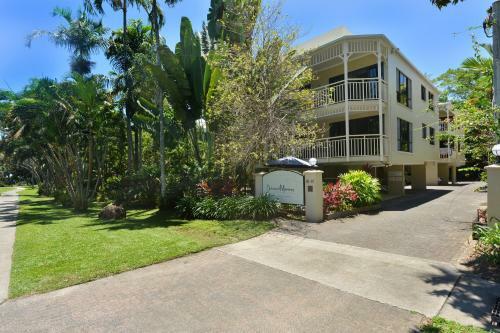 Please note that the check-in and key-collection take place at: 65-67 Macrossan Street, 4877 Port Douglas. Please inform Seascape Holidays - Driftwood Mantaray in advance of your expected arrival time. You can use the Special Requests box when booking, or contact the property directly with the contact details provided in your confirmation. This property will not accommodate hen, stag or similar parties. If you expect to arrive outside reception opening hours, please inform the property in advance, using the contact details found on the booking confirmation.